Can I Stop Shouting for 40 Days? Shouting is something I really struggle with. I've been trying to stop it for the past two years (basically ever since Preschooler became a true toddler). And yet, I kept on shouting. I know it doesn't work. Well, if my aim is to scare my daughter and make her obey out of fear, then I suppose it does work. But I don't want that relationship. I want a relationship built on trust and respect. And I imagine it's pretty hard to trust and respect someone who, despite being twice the size of you, chooses to scream at you. The trouble is, toddlers and preschoolers are wonderful, hilarious and downright frustrating. I'm still not great at handling frustration or anger, so at times I resort to shouting. And then spend the rest of the day feeling guilty about it. As Lent approached this year I wasn't sure what I would give up, until the Friday before. We were just about to leave for a music group we go to, which we both really enjoy, when I realised I couldn't find my keys. Preschooler had been playing with them the day before so they could have been anywhere. We searched for 50 minutes, until well after the group had started, and I got more and more irate. I tried to keep a lid on it but I was so cross at Preschooler for hiding my keys and then not remembering where she'd put them, and so worried about what was going to happen if I couldn't find them. Eventually, she found them herself - and promptly burst into tears. I'd shouted and yelled so much she was just overwhelmed. Any hope of even catching the end of the group dissolved as she was too distressed to go out. That's when I decided to give up shouting for Lent. So how am I doing one week in? Actually pretty well. Especially considering that on the first day of Lent we decided to go on our first day out by train, to a museum that, in hindsight, wasn't very Preschooler-friendly as there was lots of looking and not much doing. Having recently dropped her nap she was overtired almost as soon as we reached the museum, and she was very clingy with me, and I wasn't well anyway, and oh how I wanted to shout at times! But I didn't. And then there was this Monday, when Preschooler demanded we bake biscuits. (Or bate bistuits, as she says.) Despite saying she wouldn't eat the ingredients she did, then she had a wee accident, just at the point where I'd started kneading and my hands were covered in sticky dough. I told her to stay in the living room while I cleaned up the puddle on the kitchen floor, she took that to mean baking was over and had a tantrum. Once I'd cleaned up I managed to calm her down, then she proceeded to throw flour all over herself, her chair and the floor. I ended up doing most of the biscuit cutting as she made a huge mess. I really wanted to shout. But I didn't. In fact I haven't shouted in the last seven days. I've raised my voice, but only in pain, ("OW" when she kicked me in the head) warning ("WAIT" when she ran down the street without me) or both ("OW, NO" when she jumped on me as I held a cup of coffee). But I haven't shouted in anger. I've told myself out loud not to shout. Saying it in my head is too easy to ignore. If I say it out loud then I feel more accountable somehow. I've taken deep breaths and floated my arms up and down. Sounds silly, but it's something I encourage Preschooler to do so if it's good enough for her, it should be good enough for me. I've told Preschooler how I feel. I want her to know it's OK to express feelings, but you don't have to shout to do that. When we had the baking fiasco, I told her I felt cross and explained why, but without raising my voice. It didn't stop her making a mess, but she did come up to me afterwards and say, "I'm sorry for making you cross," so at least by telling her my feelings she started to understand the effects of her actions. I've tried to keep things calm generally. Museum trips and disastrous baking aside, I've avoided doing things that I know will push my buttons. I've stopped stressing about leaving the house or having tea made on time. I'm working on reminding myself that grubby clothes, wet knickers and messy floors are just part of life with kids, and easily fixed. And I've reminded myself that I'm doing it. Every morning I think to myself how many days I've gone without shouting so far. I've done a whole week now. A WHOLE WEEK! May not seem long, but if I can do one week, what's to say I can't do two? What's to say I can't manage the whole 40 days, maybe even longer? 7 days down. 33 to go. And then hopefully I'll have broken the habit for good. Yet again, it's been a while since I last blogged. Sorry about that. Two weeks ago Preschooler decided to unceremoniously ditch her nap without warning and I'm still reeling from the shock and struggling to find time to fit everything in now that I've lost two hours of peace and quiet a day! I sometimes remember my life before motherhood and it really is as if I'm thinking of a different person. I used to sing, I used to act, I used to knit and crochet. But my biggest hobby was reading. I love to read. I love words. And I love to write too. When I was studying, hard as the essays were, I secretly enjoyed spilling out my thoughts and organising them into a neat string of letters on the page. Then along came my daughter and, as she got older, it got progressively harder to keep up any of my old hobbies. Singing and acting simply don't hold good hours for parents of very small children, and as for everything else, well, I just don't have time. Unless I make it, that is. 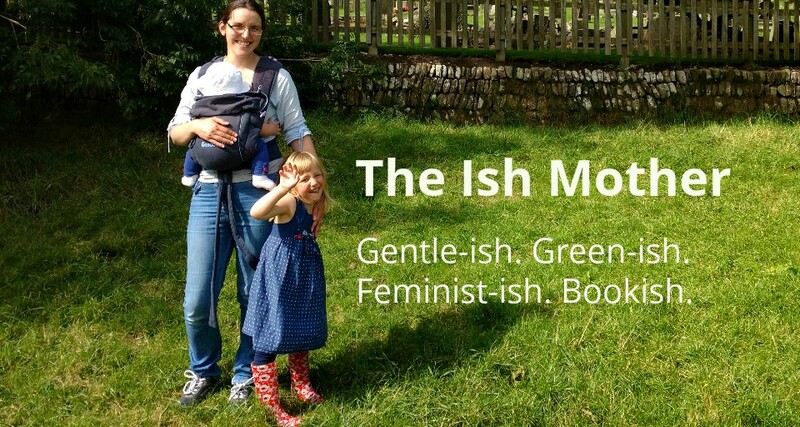 Last year, I saw that Mother's Milk Books were holding a writing competition, and I thought I'd give it a whirl. It was hard to get back into writing but I really enjoyed the whole process, and I didn't really mind too much about the outcome. I wasn't surprised when I didn't place in the competition, after all I was only just dipping my toe into the world of creative writing. But one thing did surprise me - that Teika Bellamy, who runs Mother's Milk Books, liked my piece enough to include it in an anthology she was working on! 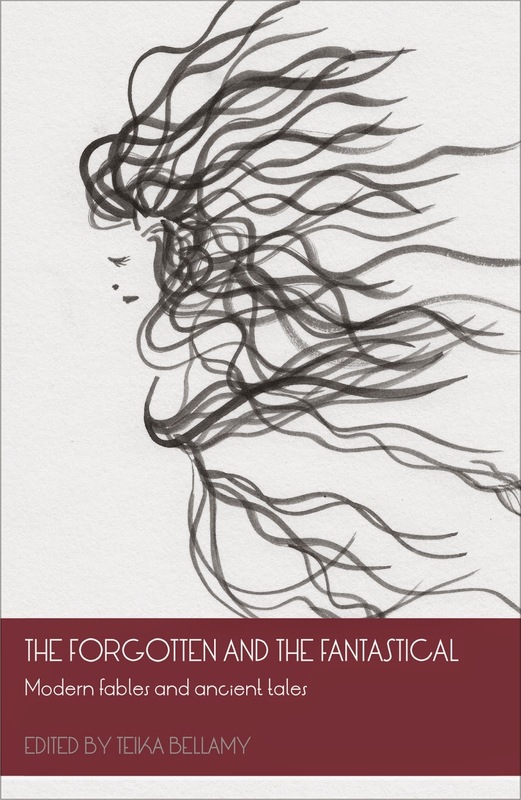 The Forgotten and The Fantastical is a collection of original fables and modern twists on classic fairy tales - but for grown ups. When I studied Children's Literature I was really fascinated by the history of fairy tales and their capacity for discussing very adult concerns in a 'safe' and indirect way, so I can't wait to read the finished book when it is published on 20th March. For me, the excitement of reading the stories of the fantastic authors who have contributed to the book is almost as great as knowing I'll be ranked among them! I'm hoping this book will be a turning point in reclaiming a part of my identity that has been mostly dormant over the past three years. Having mainly read children's books and parenting books, I can't wait for an excuse to read fiction aimed at adults again. And being part of the book has given me faith that I can string a decent sentence together, so I am determined to keep writing as well as reading.